I had been meaning to save this shot for “penguin thoughts” but it was just too good. This photo was taken on a little island just off of the Peninsula of Antarctica called Peterman Island. I stood and watched a group of healthy chicks sticking close to their parents for a while. However, this one started to look like it was lost. The perfect misfit penguin. Patience in wildlife photography is something that is so important. I stood waiting for this chick to turn its head towards me while all the other ones turned their heads away for about 20 minutes. It is also important to visualize the type of shot that you want, you should be trying to capture a moment rather than a picture. That being said, always be flexible enough to grab another shot while waiting for the one you want to materialize. For the camera junkies this shot on my canon 70-200mm f4 IS lens at a focal length of 200mm at f5 on a shutter speed of 1/1000, Iso100. On Monday my Antarctica series will sadly come to a close here. My last post will be a long anticipated grouping series of penguin pictures which I’m sure you’ll like. Don’t worry though, after the Antarctica series some great stuff will be coming from Buenos Aires, Iguazu Falls, Ihla do Mel, and Rio de Janeiro. The Adventure is always in motion, let’s keep it moving! OMG I want to adopt him/her. ADORE!!! I want to hug that penguin! hahaha, everyone knows penguins bathe! His feet look way to big too! haha sooo cute! PEEEE YOOOOOOO!!!!!! What sewer did YOU walk in today? OMG this made me go AWWWwwww. He/She is so damn cute! I want to bath it and hug it & then put it in my backpack and bring it with me!!! Awwww, really cute shot. So true that it is 200% better because it is looking at you and the others are looking away. Nice. Thanks Michael, visualizing the shot you want before you take it and sticking with it is the key, just requires lots of patience. My heart just hit the floor. Fabulous shot Brendan! Thanks! Now pick your heart up please… you’ll need that! Enjoyed meeting you on the voyage and enjoying your blog. Great meeting you too Mike, and I’m glad you’ve found your way to the site! So, so, so, so, so cute! He kinda reminds me of what my dog looks like after I give her a bath. That vunerable look, with those eyes that just melt you! This little guy needs cuddles! Super cute!! I’m glad you wait for this kind of moment! 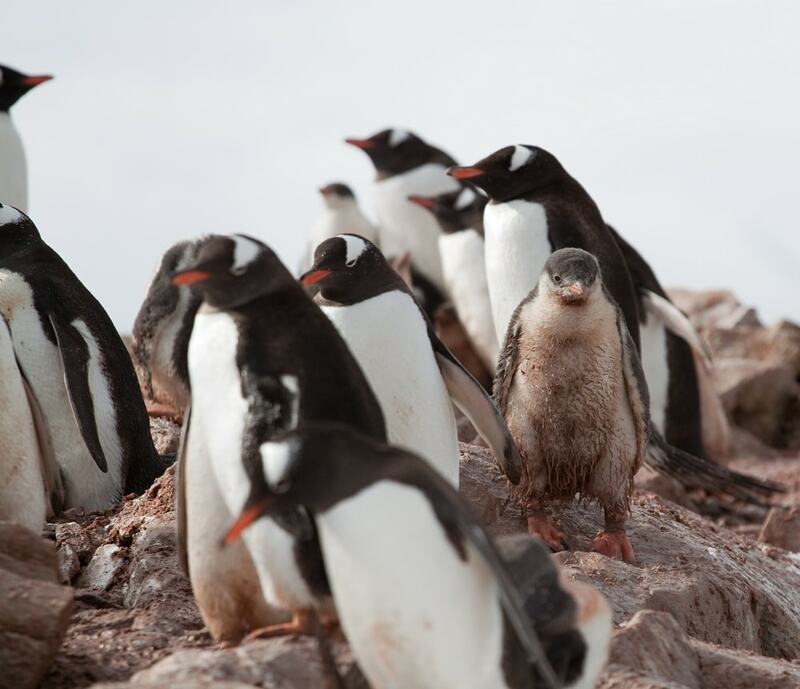 The little Penguy must be an adventurous penguin! Can I bring it home?